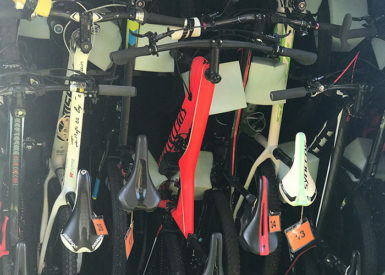 Our company was founded with one goal in mind: To help ease the logistical challenges and exorbitant costs of transporting bicycles to and from events via ground and air freight. 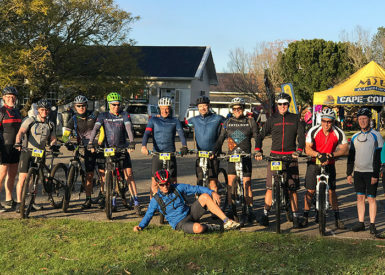 We look forward to providing you with our UNPARALLELED, EASY, SAFE and ECONOMICAL bike transport service from your destination to your race and back so all you have to do is worry about the finish line. 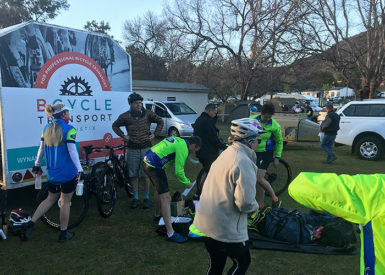 All bikes will be transported in an enclosed and secure boxed trailer away from natures elements, which has been specially designed for the Cyclists by Cyclists. 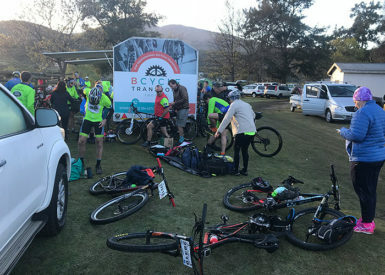 All bikes will be transported in an enclosed and secure boxed trailer away from natures elements, which has been specially designed for the cyclists by cyclists. Equipment protection is our main priority. All bicycles have their own dedicated slot into which they will be housed for the journey and are clamped by the wheels to ensure safety. NO bicycle will be taken apart; it’s a simple roll in and roll out mechanism that has been designed for the safe transportation of your bike. handling, and unique packaging requirements. 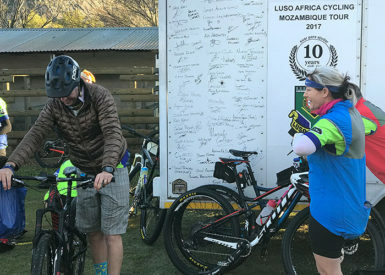 BCycle Transport Logistix confirms that the utmost care will be exercised during the transportation, loading and unloading of your bicycle to and from events. 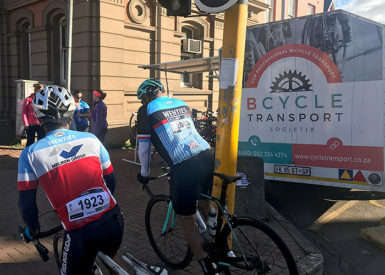 Since we at BCycle Transport Logistix are cyclists ourselves, we know how precious your bicycle is to you and it will be handled with the utmost care as if our own. BCycle Transport Logistix will not be liable for any action, damage, claim, cost or expense that may arise directly or indirectly as a consequence of any act and/or omission on the part of the BCycle Transport Logistix, its employees and/or agents (including negligence and gross negligence, except to the extent impermissible in terms of the Consumer Protection Act). BCycle Transport Logistix shall furthermore not be responsible for consequential losses or damage under any circumstances whatsoever. In addition to what is set out above BCycle Transport Logistix will not be liable for any claim and/or damages sustained as a consequence of any act or failure which is beyond the reasonable control of the BCycle Transport Logistix, which shall include but not be limited to, war, strike, riot, crime, or an event described as an act of God such as storms, flooding, earthquake, etc. It is your (“the client’s”) responsibility to obtain sufficient insurance cover for your Bicycle while left in the custody of BCycle Transport Logistix. BCycle Transport Logistix is in no way involved with insurance cover for clients bicycle. When dropping off your Bicycle, it is important to hand your Bicycle over to the BCycle Transport Logistix employee and not to any other 3rd party.Should a third party be involved, then BCycle Transport Logistix will not be involved in any argument or discussion should the Bicycle be scratched or damaged and the owner of the Bicycle will take sole responsibility for such misfortunes. At BCycle Transport Logistix we realize the value and costs associated with bicycles, and we guarantee that we will take care of your Bicycle as if it were our own. Should there be any speedometers, Heart Rate Monitors or any other clip on fixtures to your bicycle should be removed from your bicycle prior to hand-over. If not, these fixtures will be left in their clipped on positions as our policy is to not dismantle or change anything on your bicycle. Should we feel that there might be a possibility that the fixture might come loose and get lost, we will remove it , bag it and cable tie the bag to your bicycle, however this increases the risk of getting lost or falling off and at BCycle Transport Logistix we shall not be liable for any such loss. Ownership of the Bicycle always stays with the cyclist/client/customer, and is never transferred to BCycle Transport Logistix during handing over or transportation of the Bicycle or to any other party. 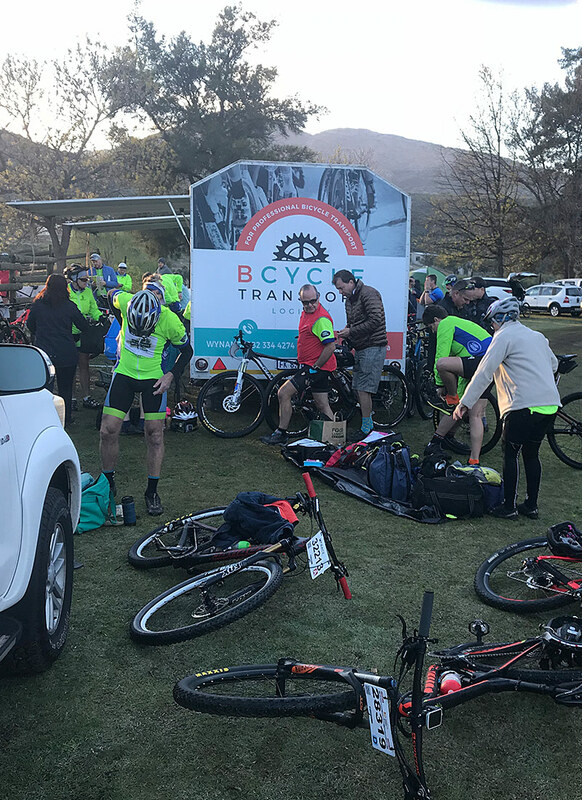 BCycle Transport Logistix retains ownership though over all material used in order to transport the Bicycle, such as the Trailer/Van’s, strapping material, identification tags, etc. 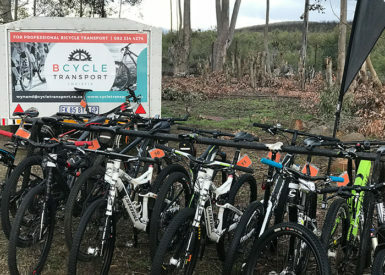 Cancellations received within a period of more than 30 days before the date of the specific event for which the booking was made, will be entitled to a 50% refund of the booking price paid for that specific event unless the client can find a full replacement for the space booked with BCycle Transport Logistix. Any cancellation received within a period of less than 30 days before the date of the specific race for which the booking was made, will not be entitled to any refund unless the client can find a full replacement for the space booked with BCycle Transport Logistix. All bookings will only be confirmed once full payment is received. If possible, BCycle Transport Logistix will assist in getting a replacement booking, but this cannot be guaranteed. Through booking a Bicycle for transportation with BCycle Transport Logistix, either via EFT or via credit card or any other payment method, the cyclist gives express permission for BCycle Transport Logistix to make use of the personal information obtained in order to contact the cyclist with regards to future races and/or promotions offered by BCycle Transport Logistix. Through booking a Bicycle for transportation with BCycle Transport Logistix, either via EFT or via credit card or any other payment method, the cyclist also gives express permission for BCycle Transport Logistix to make use of the cyclists’ personal information in order to further future business opportunities and database interests. 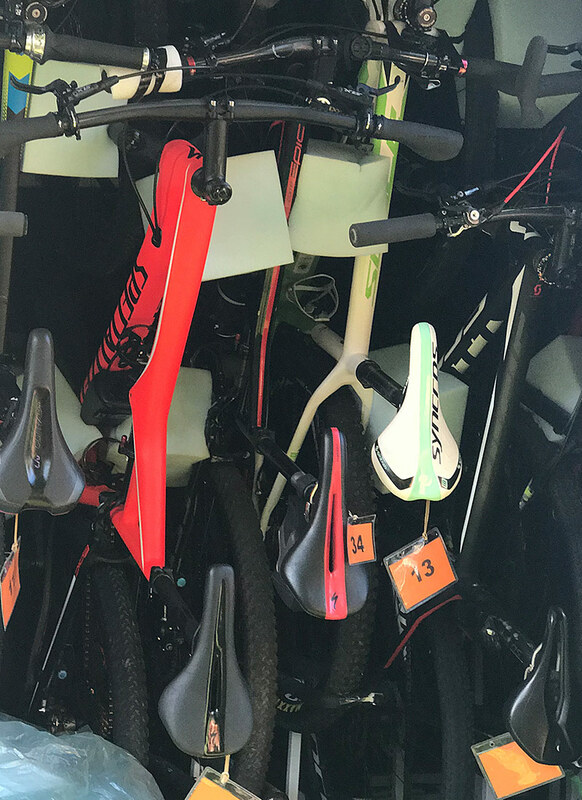 With the demand growing stronger every year we focus on assisting as many South African Sporting Enthusiasts getting their valuable and specialised sports equipment safely and conveniently to the event of their choosing. We are thankful for your business and trust you have in BCycle Transport Logistix for transporting and taking care of your bicycle and hope you will be very pleased with the service you get from us. 100%. Rest up. We won’t need out road bikes in the next week. I will meet you guys when you ready. Thank you for your excellent service. We recommended you to a couple last night on our late night flight home who are really keen to use you in future. Thanks again for an awesome service, I’ll definitely use and recommend you in future. Thanks so much to Bcycle for the great service rendered. Its much appreciated. 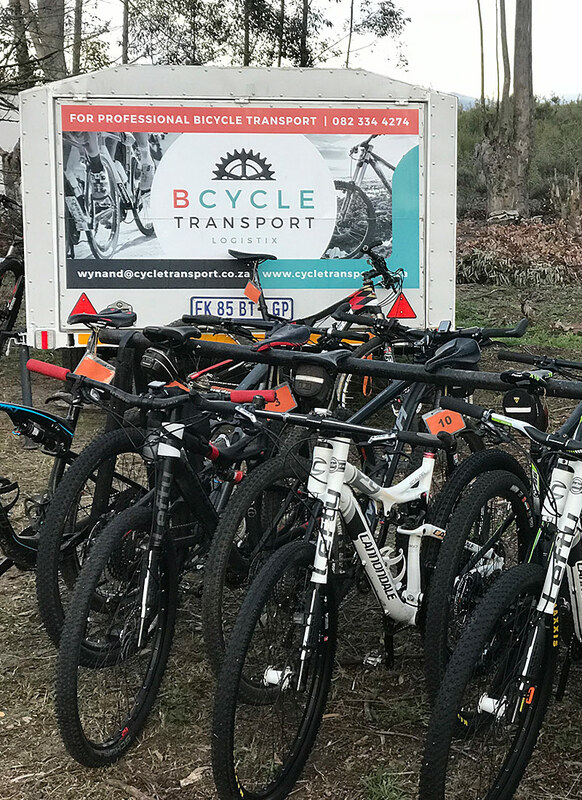 To have our bikes collected and returned to Middelburg is one of the greatest perks transporting our bicycles with Bcycle. In addition to the hassle-free transport, Bcycle efficiency is outstanding with the bikes returned on Tuesday. 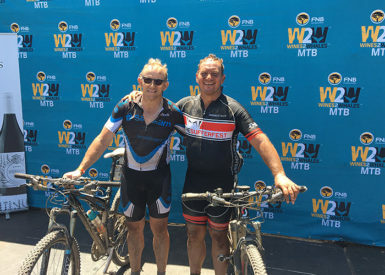 Baie dankie…selfs wiel help herstel. Hou ons op hoogte van volgende wedrenne waar jy betrokke is sal weer van jou wil gebruik maak en book jou vir vlg jaar!